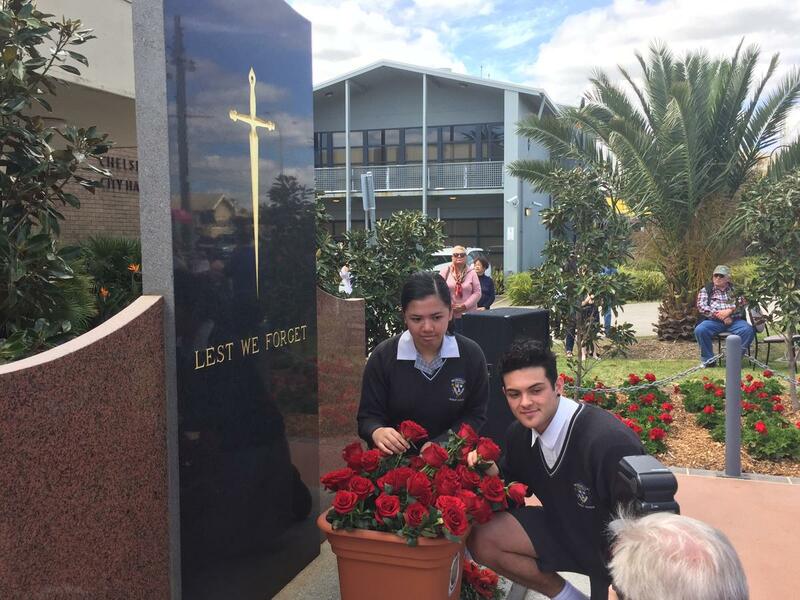 Last Sunday was Remembrance Day, 11/11/18, and two SRC students of Mordialloc College attended the Chelsea Longbeach RSL to lay a rose. Myself, Elizabeth Ng and Levi Burns were proud to be asked to represent the school. There were over 200 people from the community who came to honour the day. November 11th 2018 marks the 100th year of the Armistice which ended the First World War. It was truly an honour to attend the Remembrance Day service, laying a rose to commemorate and pay our greatest respects towards those who fought in the war. It is because of all the sacrifices made by the soldiers and other army personnel that the world and Australia is as we know it today.